Looking for Terminal Blocks? Get a quote fast. Distributing power while optimizing your panel space. 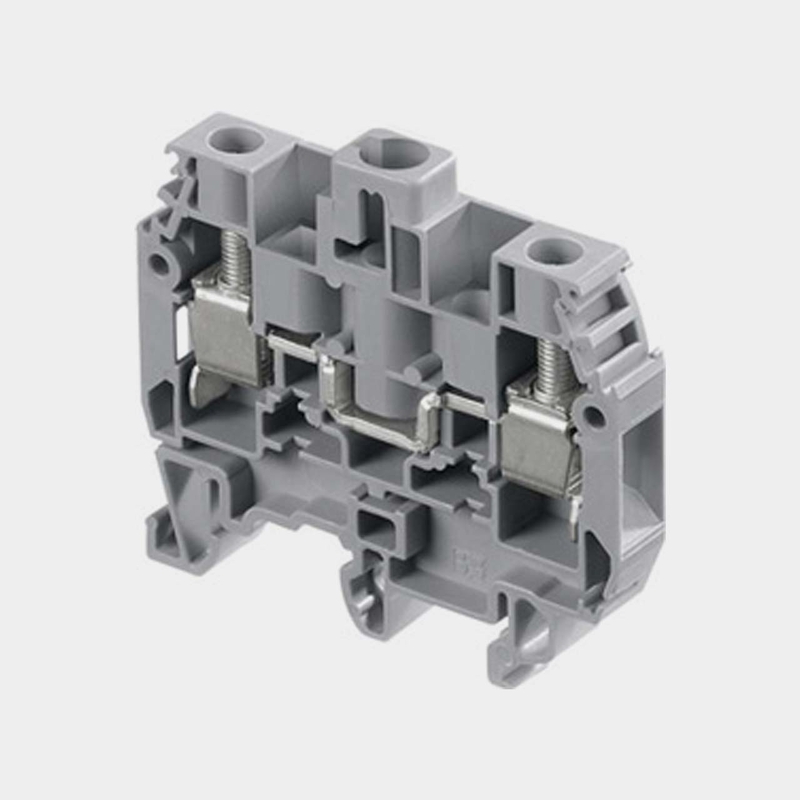 Used to distribute power and connect wires to one another, a terminal block is a modular device composed of an insulated body, and a clamp or screws to mount the terminal blocks. The wires are attached via screws or clamps and allow several circuits to be connected to another circuit. Terminal blocks, also referred to as terminal strips or terminal bars, help centralize your wiring while protecting against short circuits as well as optimizing panel space and preventing wire splicing which can be potential fire hazards. They also allow you to better maintain and control complex circuit systems. As wiring systems become more and more complex, terminal blocks are required throughout commercial and industrial sectors. You’ll find NEMA terminal blocks and IEC terminal blocks in control panels across all applications where automation is required. 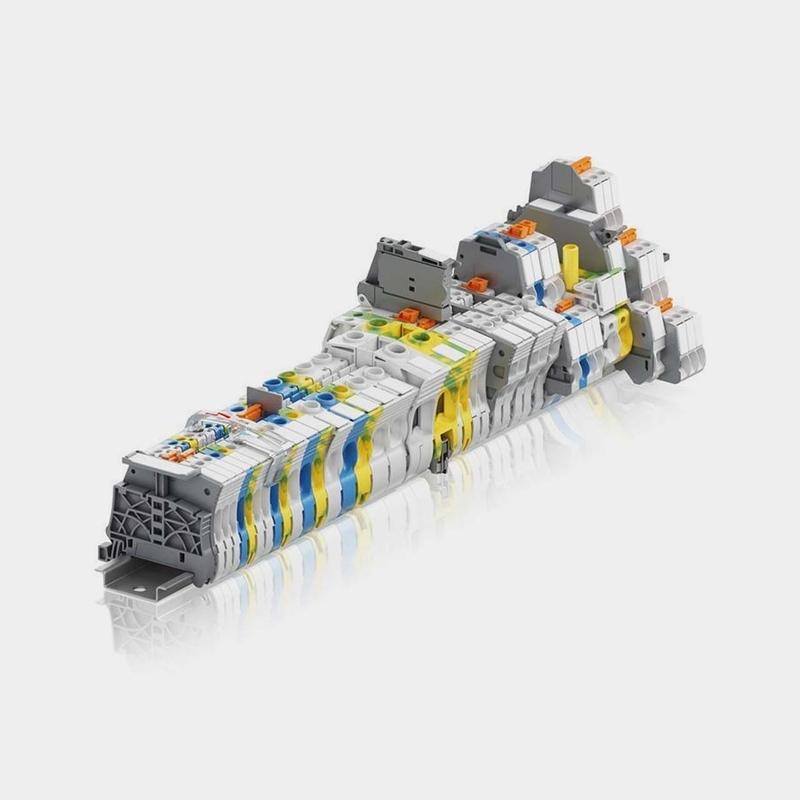 Terminal blocks are extremely flexible and modular. They can be easily mounted onto DIN rail and additional terminal blocks can be added or moved within the control panel without disrupting other components. Their insulating body, usually made of some variation of thermoplastic, provide additional protection to both the operator and maintenance workers. Your terminal block search ends here. Looking for a terminal block? Look no further than Bay Power. We stock a wide variety of top of the line products from industry-leading brands including Wago terminal blocks, Phoenix terminal blocks, Buchanan terminal blocks, Square D terminal blocks and many more. With our extensive selection and expert service combined with our one-year replacement warranty on all our terminal blocks, Bay Power is the only terminal block supplier you need. Whether you need a power distribution block, a push in terminal block, or a DIN rail terminal block, you can count on us to have it exactly what you’re looking for. Push in terminal blocks use a new type of technology that allows for much easier installation. 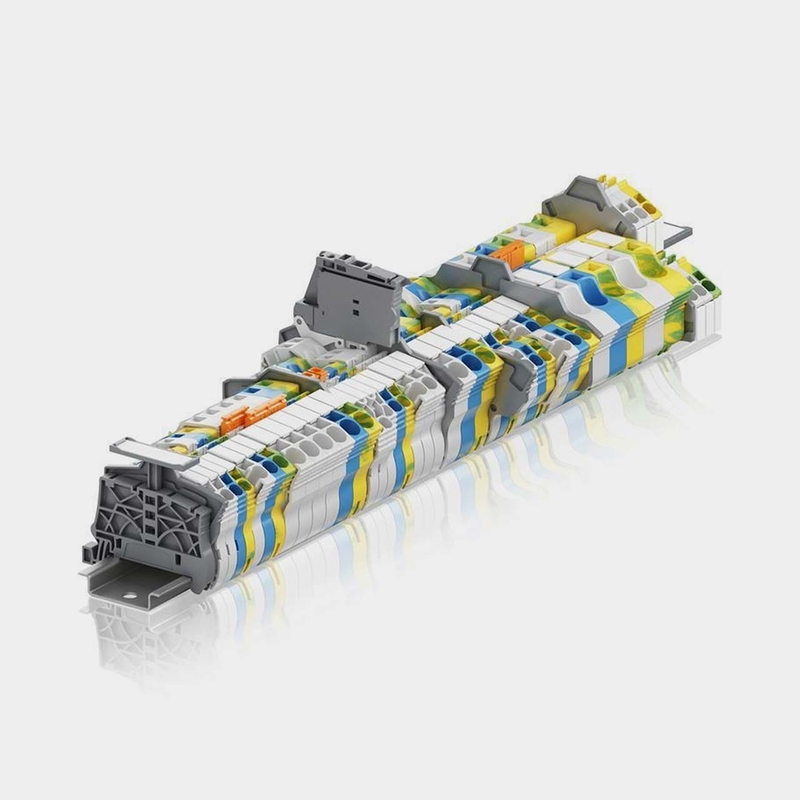 With tool-free installation, these terminal blocks can be easily inserted with a gentle push without sacrificing performance and providing excellent conductor and circuit contact. 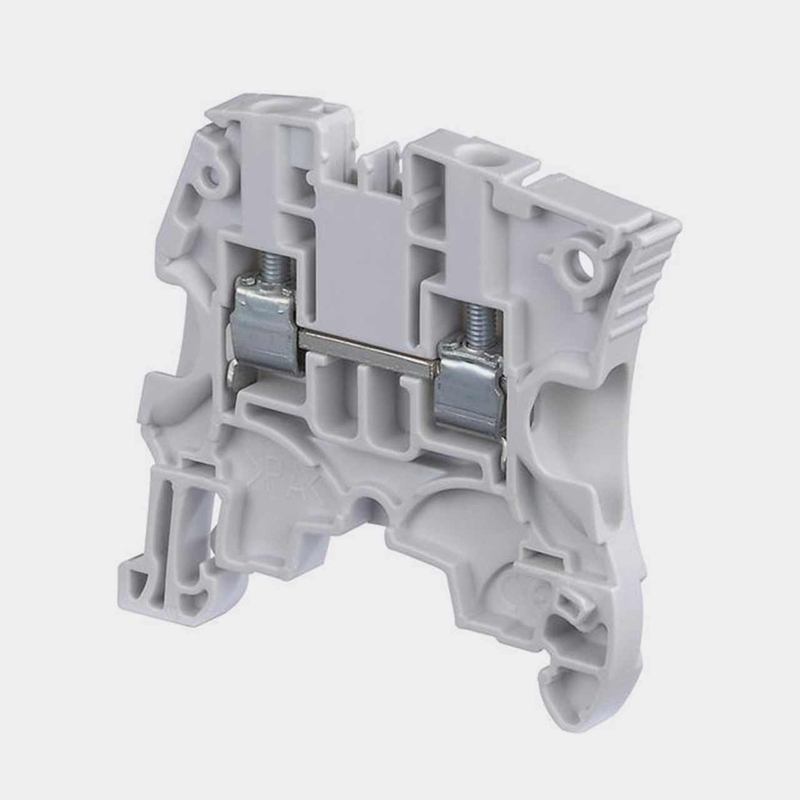 The mechanism in screw clamp terminal blocks provide an extremely secure connection between the conductors and conductor strips. As one of the most widely used terminal blocks in the industry, the reliable connection and steel screw clamp is a popular choice in marine applications, solar applications, railways, and more. Power distribution blocks are used for branch circuit applications. They can be either panel mounted or DIN rail mounted with high short circuit ratings. They are also used to take in primary power and distribute it throughout secondary circuits. Applications including manufacturing, food processing and building automation. NEMA terminal blocks are screw clamp terminal blocks that are commonly used in heavy duty applications. They are larger in size compared to IEC terminal blocks, but they are better equipped to handle high current applications. NEMA terminal blocks are open-style terminal blocks which make for easier wiring. Available with either screw clamp or spring clamp mechanisms, IEC terminal blocks are high performance performance terminal blocks. They are DIN rail mounted terminal blocks and are known for their ease of installation and high applicability. 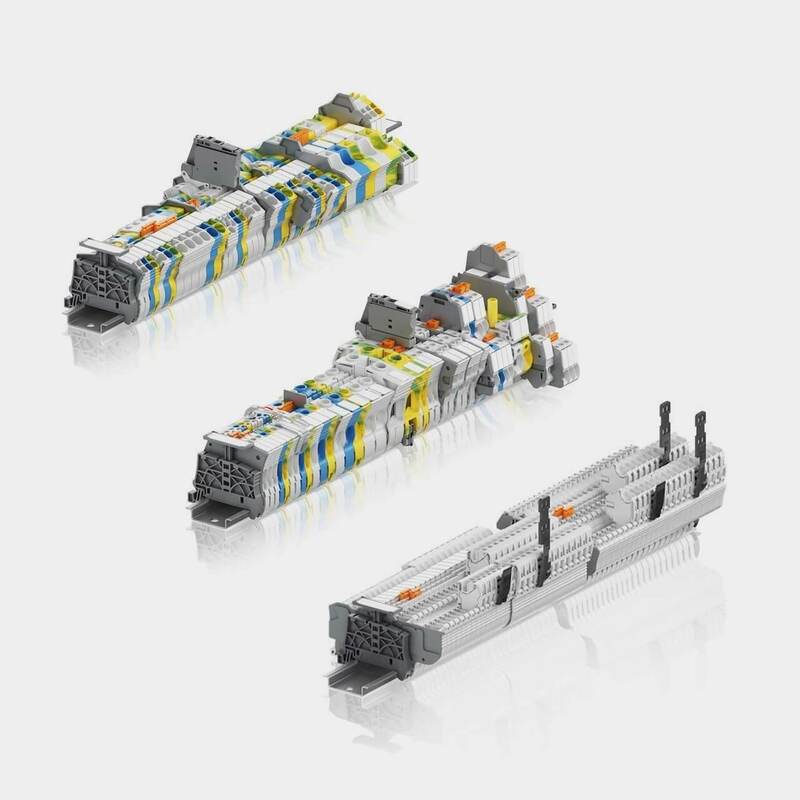 Since DIN rail sizing is standardized, IEC terminal blocks are compatible across manufacturers. Have any old or unused Terminal Blocks lying around? Don’t get rid of them just yet. While we stock a wide range of quality electrical products and solutions, both new and reconditioned, we also buy back your unwanted equipment. So, before deciding what to do with your old Terminal Blocks and components, have one of our expert technicians take a look to see if we can save a few parts, save the environment, and save you some cash. Great service shouldn’t end after the purchase. We pride ourselves on the relationships we build with our customer-first mentality and the quality of our Terminal Blocks and components. That’s why we offer a 1-year replacement warranty on all of our electrical products and solutions from the top manufacturers. Because when you buy with Bay Power, you buy with confidence. We are proud to stock a variety of competitively priced, new and reconditioned components from the leading manufacturers of Terminal Blocks. Thanks to our extensive inventory of Terminal Blocks and components, our resourceful and expertly trained staff will always be able to get the products that you need. Through our extensive network of suppliers, we are able to carry and acquire a huge variety of electrical products and solutions, so chances are if you need it, we can get it. Bay Power’s priority is providing you with reliable, high quality electrical hardware. That’s why our mission is to make sure our reconditioned electrical products and solutions function as perfectly as the day they were built. Because while the quality is high, the cost of Terminal Blocks shouldn’t be. Our selection of new surplus Terminal Blocks may not arrive brand new in a box, but they function just as well, and have never had electricity run through them. All of the quality, none of the packaging, always with our 1-year replacement warranty.